Calling the last couple of years difficult for real estate developers is certainly an understatement. Yet during this extraordinarily challenging period a local developer, The Woodside Group, has thrived. What accounts for its success? Above all, vision. The company seems to have an innate ability to visualize the best possible use of a property and transform that vision into economically viable and environmentally responsible communities. The Woodside Group LLC is owned and operated by a pair of native Oregonians, Don and Kathie Huster. After receiving a degree in electrical engineering at Oregon State University, Don spent 25 years in the high tech field. After purchasing a beach house in Gleneden Beach in 2004, Don and Kathie chose to switch careers and became builder/developers. Their first project, a unique four-home development on Newport’s High Street, broke ground in August 2005. By the end of 2006 Courtyard Cottages had sold out and The Woodside Group received considerable acclaim for building affordable, quality housing. Don and Kathie then purchased a parking lot which occupied half a city block in Newport’s Nye Beach. By November 2006 ground had been broken on a mixed use building they called Archway Place with nine condominiums upstairs and retail space at street level. Don and Kathie created a homeowners association and all of the condominiums were sold within a year and a half. Another one of their companies retained ownership of the commercial space which now houses several successful retailers. Despite the sluggish economy, The Woodside Group embarked on their largest project in August 2010 at Wilder, a 275 acre master-planned community close to Yaquina Bay in South Beach. Owned by Landwaves Inc., Wilder is home to the new main campus of Oregon Coast Community College and will eventually include shops, a café, business space and a well rounded choice of housing options for a wide range of budgets and lifestyles. The Woodside Group is currently building the Sunrise Cottages in Wilder – 10 cottage homes surrounding a central green space that set a new standard for eco friendly, energy efficient, attainable housing. Upon completion, the first cottage in the project received Earth Advantage’s Platinum Award, its highest certification for sustainable building. With more than 20 other building lots currently available, The Woodside Group can now offer a wide variety of housing options for purchase in Wilder. In addition, the company will soon break ground on a new rental community in Wilder, including apartments, urban flats and townhouses. The Husters make a unique team. Don brings an engineer’s approach to solving the complexities of the development process. As the company’s designer, Kathie is particularly adept at maximizing the use of space. The Woodside Group now employs a five-person construction crew that shares Don and Kathie’s passion for building environmentally friendly housing. 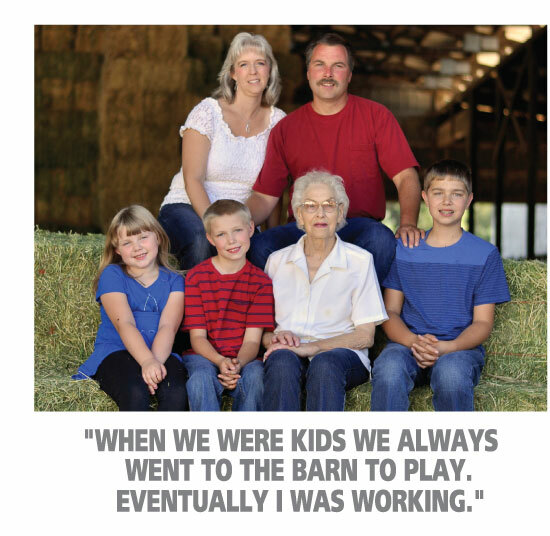 As complex as their projects have been, Don and Kathie have one simple philosophy. “We want our customers to be delighted,” says Kathie. Which if you think about it is a good way to describe our feelings as bankers – we’re delighted that Don and Kathie are bringing high quality, attainable housing to the central coast and we’re delighted to be their bankers.